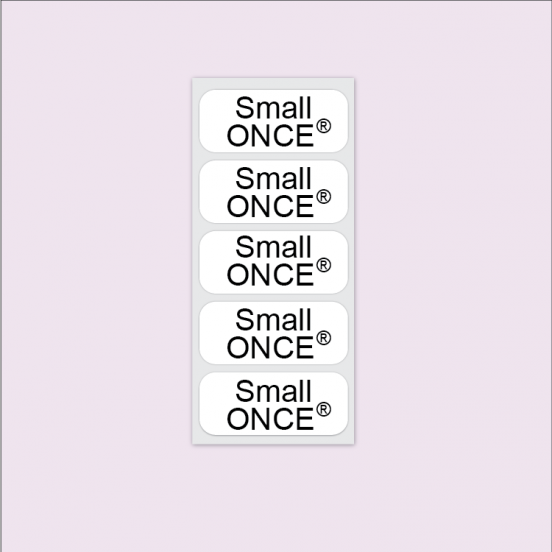 Measuring 1.1” x 0.5” or 2.8 cm x 1.2 cm the small, White ONCE® Iron on label fits neatly into most small items like socks and underwear. Made from a special nylon fabric for sensitive skin, they have rounded edges that cause no irritation. Placed on a backing paper, you peel the label off and can instantly feel they are smooth to touch and so fine that when they are adhered to the clothing they can hardly be felt. The lifetime guarantee will give you peace of mind that they won’t fade and can withstand high temperature, industrial washers and dryers with no fear of them coming off. This residents clothing name label pack offers great value including both ONCE™ iron on and stick on..